At McCarl Dental Group, Greenbelt and Millersville patients know they can rely on us for all of their dentistry needs, including a wide range of cosmetic dental services like porcelain veneers. We create personalized cosmetic dentistry plans to deliver picture-perfect smiles that will improve your confidence and make it possible for you to share a brilliant smile in any situation and make a great impression with every smile. When you’re ready to learn more, call our caring dentists and team to schedule a cosmetic dentistry consultation in one of our two state-of-the-art, family-friendly dental office locations. Veneers are layers of porcelain that are affixed to the front surfaces of your teeth to improve the shape, color, alignment, and overall appearance of your smile. 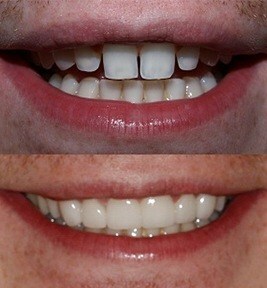 Porcelain veneers are a great treatment option to address a number of cosmetic flaws in just a few short appointments. 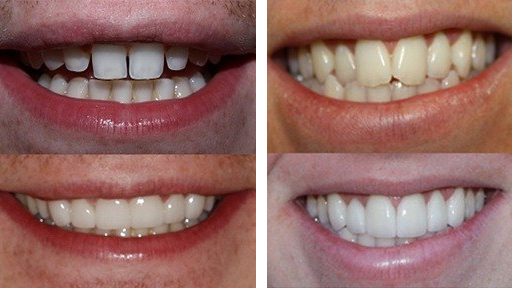 Minimally invasive, porcelain veneers also allow us to protect remaining healthy tooth structure. Traditional porcelain veneers resemble a fingernail. They can be placed within the smile line with the removal of only a small amount surface tooth structure that allows the veneer to lay flat within the smile. Thin veneers, sometimes called minimal prep or no prep veneers, are about the size of a contact lens. 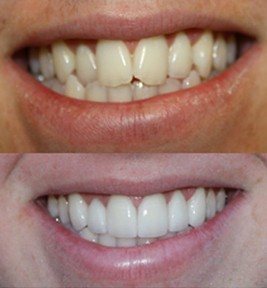 This ultra thin design means we can often affix these veneers without the removal of any surface enamel. These veneers aren’t always effective in correcting darkly stained or discolored teeth or concealing larger areas of dental damage or cosmetic flaws. 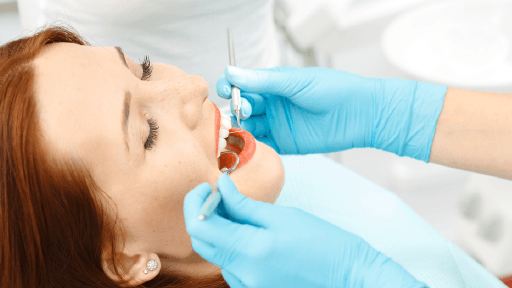 In order to create the ideal smile restoration plan, we can even combine both traditional and thin veneers as part of the same custom cosmetic dentistry plan. Once you have porcelain veneers in place, they can last for a decade or longer with proper care at home and in our office. Each day, you should carefully brush teeth for two minutes at a time in the morning and evening. Use minimally abrasive toothpastes and soft toothbrushes to avoid wearing down your veneers. You should floss at least once each day. Use a waxed floss to avoid pulling around the edges of your veneer. Take steps to avoid potential damage, including wearing sportsguards during athletic events and nightguards to protect teeth from nighttime grinding and clenching. You should also avoid chewing on ice and biting finger nails as well as using teeth as tools to open packages. All of these habits increase your risk for tooth damage. Finally, make sure you’re keeping up with your six month dental exams and teeth cleanings with our team. During these appointments, we’ll examine your veneers and help you to keep your smile looking and feeling great.